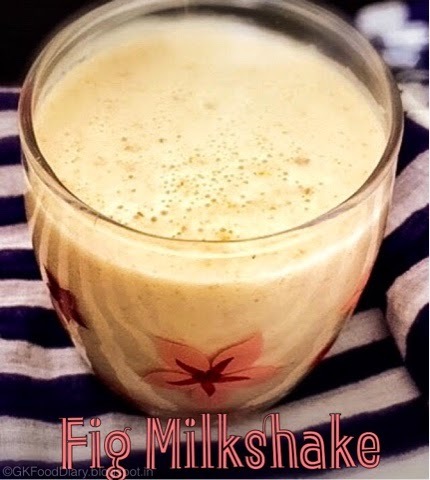 I love milkshakes anytime for it’s creaminess and like to try different variety of milkshakes.This fig milkshake is my new addiction. Also dried Figs are nutrition rich and that provides lot of health benefits! It has lot of fibre, vitamins and minerals. 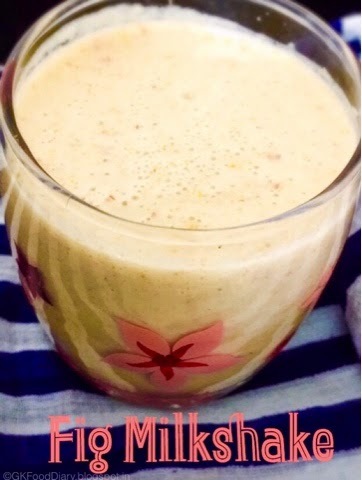 I don’t like to eat figs as such, hence tried this milkshake with nuts and honey. It came out so well and filling. It’s best for summer and can be taken as mid morning drink. Soak figs, cashews, almonds in water for at least two hours so that the figs blend smooth while blending. After soaking the figs becomes soft. Add soaked figs and nuts to the blender with chilled milk and honey. Blend it well until smooth and serve chilled. 1. Soak figs, cashews, almonds in water for at least two hours so that the figs blend smooth while blending. 2. After soaking the figs becomes soft. 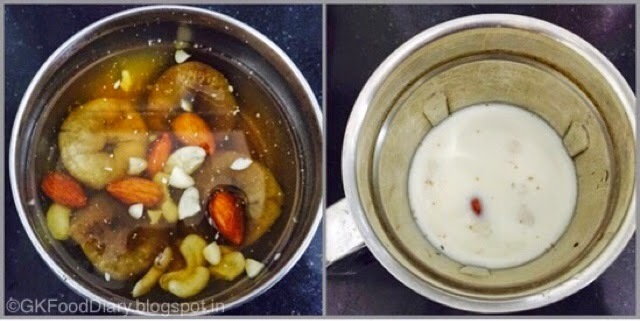 Add soaked figs and nuts to the blender with chilled milk and honey. Blend it well until smooth and serve chilled. we need to add boiled milk right? Can I give fig to my one year old baby? She should be having it for the first time.